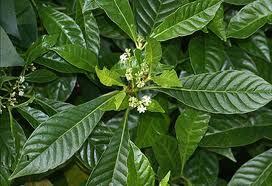 Psychotria nervosa - wild coffee - is an excellent evergreen multi-stem native shrub that likes shade or sun. It can be kept small (3') or left a bit untamed to use as a screening plant. The small white flowers are a nectar source for butterflies and the berries attract wildlife. 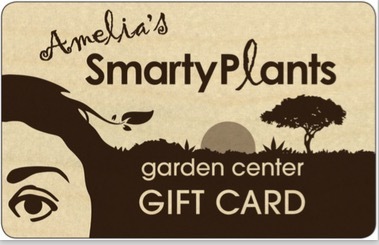 It has medium water needs, and once established is appropriate for xeriscaping. Xeriscaping or xerogardening refers to landscaping/gardening without supplemental irrigation once the plants are established. 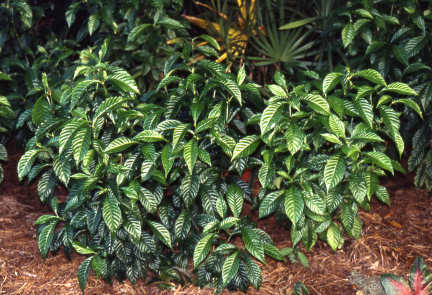 Wild coffee is a great choice, and it's here at SmartyPlants.